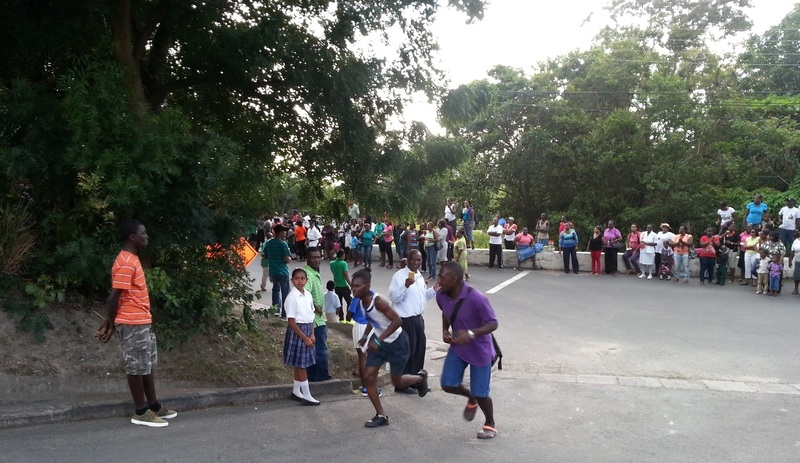 SALEM – Here are the results from the Montserrat Secondary School (MSS) Road Race which took place on Thursday, March 5, 2015. Orange and Blue Houses tied for the top spot with 85 points. Red House is only one point behind with 84 and Green House placed third with79 points. In the Boys Race—Wendell Allen of Green House was 1st in a time of 17:56. 2nd place went to Jamoi Phillip of Blue House who got to the finish line in 18:11, Aiden Livan followed closely behind for 3rd place, finishing in 18:17. In the Girls Race—Orange House runner, Theona Johnson reached the finish line in 13:30 to take 1st place. Sarline Gibbons of Blue House was 2nd in 13:40, followed by Makila Gittens of Orange House in 3rd place. She ran home in a time of 14:32. MSS Sports Day will be held on April 1st.